Members of the British Academy of Management (BAM) will celebrate the association's 30th birthday at its annual conference in Newcastle next year. 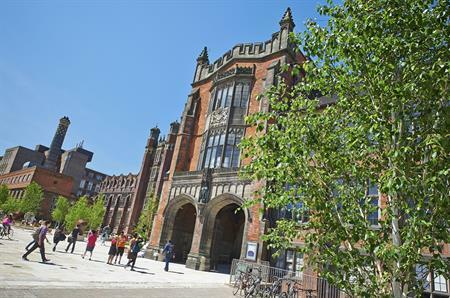 Newcastle University has been selected to host the anniversary event from 6 to 8 September. Around 900 delegates are expected to attend, pumping an estimated £1.2m into the local economy. It will be the first time the conference has been held in the region. In addition to the main conference programme, a gala dinner will be held for delegates at Newcastle’s Civic Centre. Monika Narvy, academy manager at BAM, said: "We were really impressed with the varied and vibrant offer of Newcastle and delighted to find all of the facilities and services we need for our conference at Newcastle University, alongside the fantastic cultural and leisure attractions on offer to our delegates." As well as hosting the conference, Newcastle University will also help to drive the debate on the role that academic research could play in informing future practice. Paul Szomoru, head of business tourism at NewcastleGateshead Convention Bureau, which helped secure the event, said it is "testament to the strength of the destination and Newcastle University that the British Academy of Management has chosen NewcastleGateshead for such a significant celebratory year". According to Sarah Stewart, chief executive of NewcastleGateshead Initiative, the Convention Bureau has already managed to secure conferences and meetings worth an estimated £22.7m for 2016. "Conferences and meetings continues to contribute significantly to the regional economy and play a vital part in raising the profile of NewcastleGateshead," she added.